that won’t cost you thousands. Built specifically for your industry. We have combined an incredible set of features into our all-inclusive package that will guarantee you’ll be booking more events, classes, parties, and expanding your marketing base online – better than any website builder or third-party booking system. 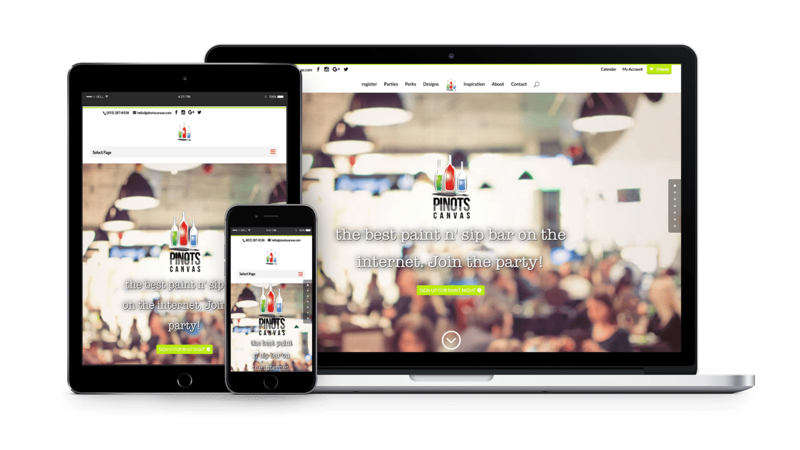 It’s all included in an easy-to-use, beautifully designed website, optimized for highest user experience. Best of all – we make it super-easy to use! Post events and classes on your website, not on some booking service. Event registration made super-easy. No confusing interface. Events beautifully styled in multiple formats with every option imaginable, that scales. No third party ticketing system and no extra ticket processing fees. Just you, your attendees, and your great events. Loyalty programs, social rewards, eGift cards & other great customer benefits. The best rewards program is one that your customers can actually use. 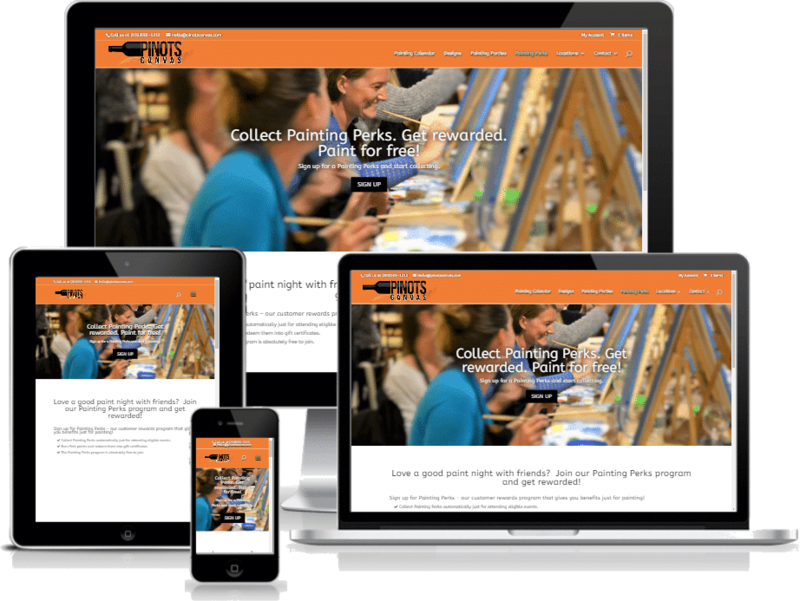 Reward your customers through our loyalty program called Painting Perks, or brand it with your own marketing name. Gift your customers based on a points system or just on a frequency of visits. 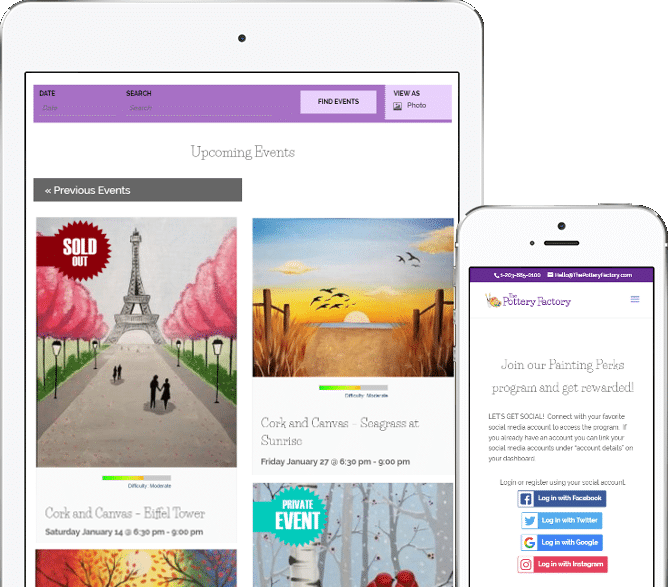 Offer instant savings discounts when your customers share your events online. 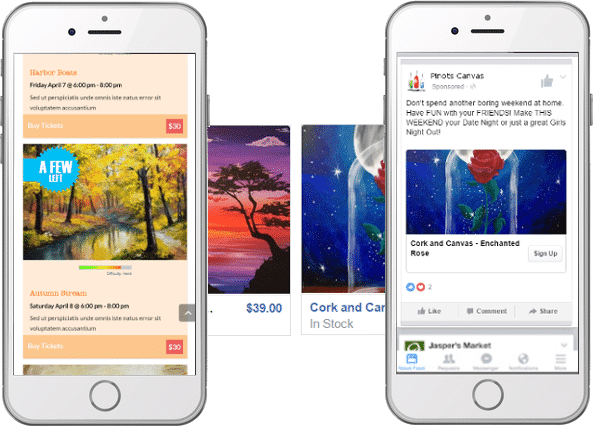 Facebook advertising done for you automatically. Set your advertising on cruise control! It’s like having your own Social Media marketing person on staff who works 24x7. The recaptured revenue through this feature alone pays for it all year round. Beautifully designed websites with your unique branding in mind. 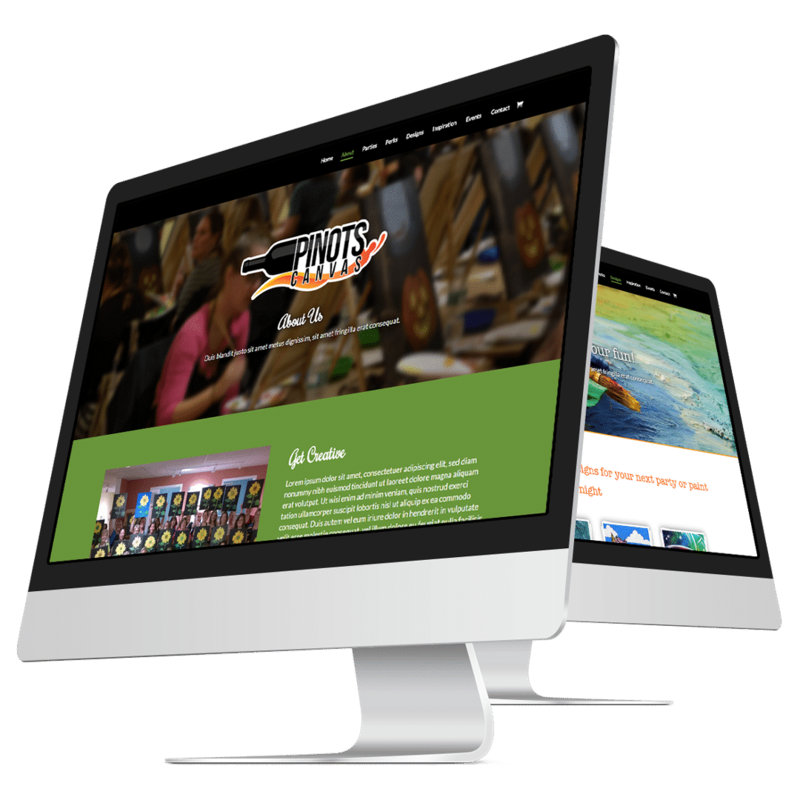 Our websites are tailored for each customer, allowing our designers to get creative with your website appearance. Got great photos, video, and content? We love that! But don’t worry, we also have access to plenty of stock material if you come up short. Easy to manage. You update what counts. We take care of the rest. Let’s face it, you’re not a web designer nor do you need to be one. So give up the DIY sites once and for all. You maintain your events, parties, sales, marketing, and promotions. We take care of your sites design, pages, software and ongoing website maintenance, all professional handled by our team. 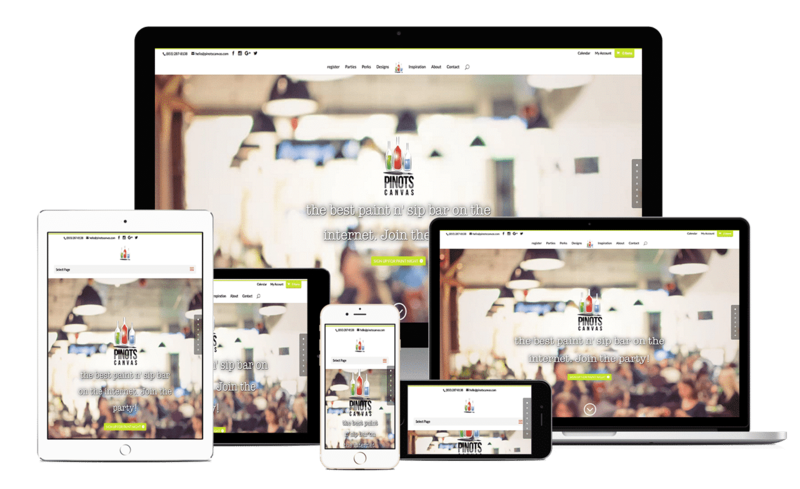 Responsive, mobile-first web designs keep your customers booking online. 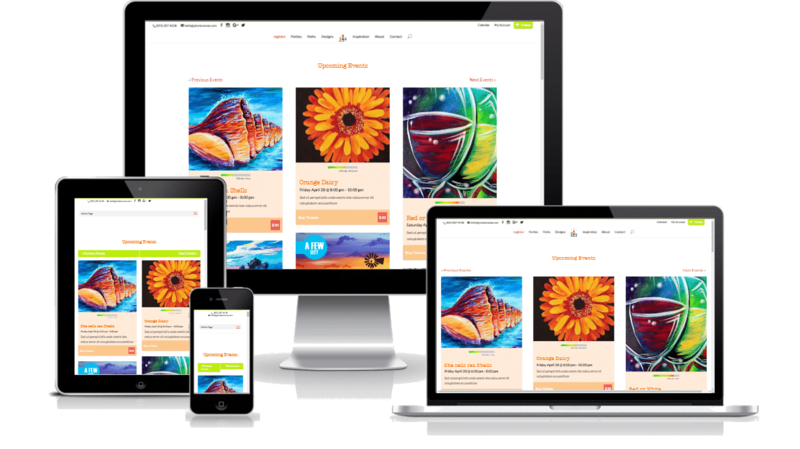 Using a technique known as responsive web design, your Studio Engine website automatically adapts to fit any screen size on any device – tablets, mobile phones and laptops. Keep your parties rolling along with easy online booking. Are you on the phone again? Save hundreds of hours of endless follow-up. 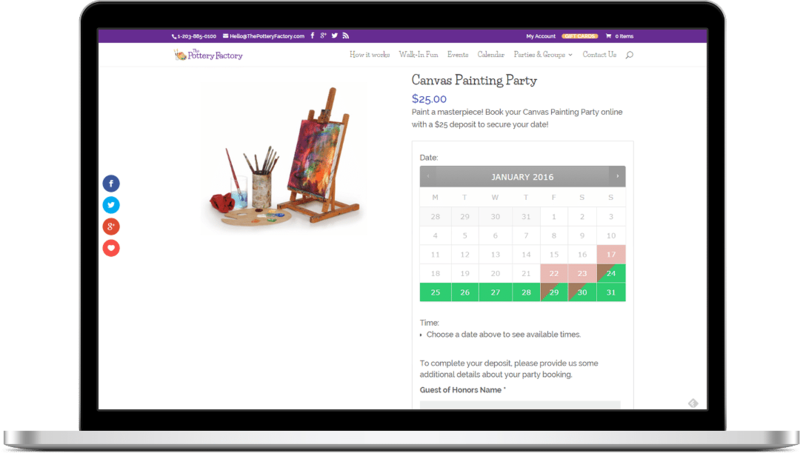 Let your customer’s book their own birthday parties in the timeslots you decide, directly on your website. Ask any number of booking questions before they commit. Include add-ons at checkout to increase your party booking revenue.